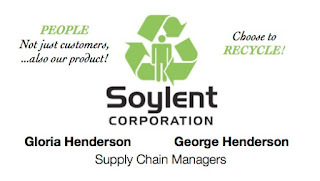 UncleGeorge: Soylent Green is People! 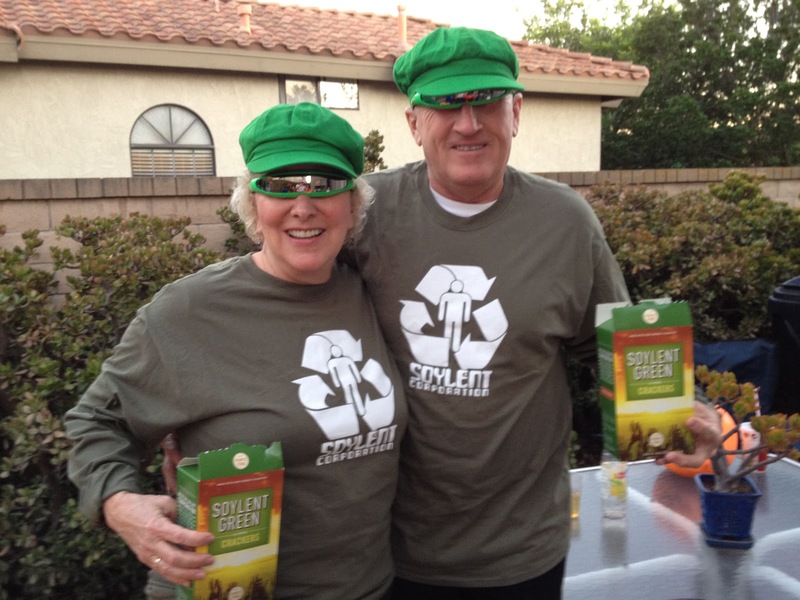 We went to a party on Saturday Night as representatives from Soylent Corporation. 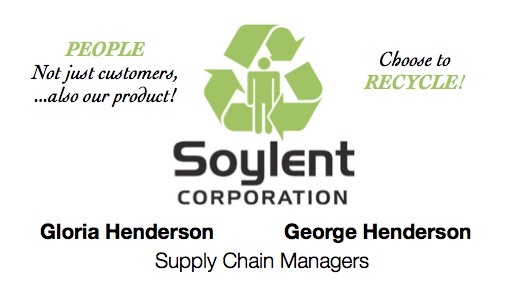 Looking for bodies to recycle into our famous product, "Soylent Green". Our motto: "It's never too late to recycle. Even if it's the last thing you do!"